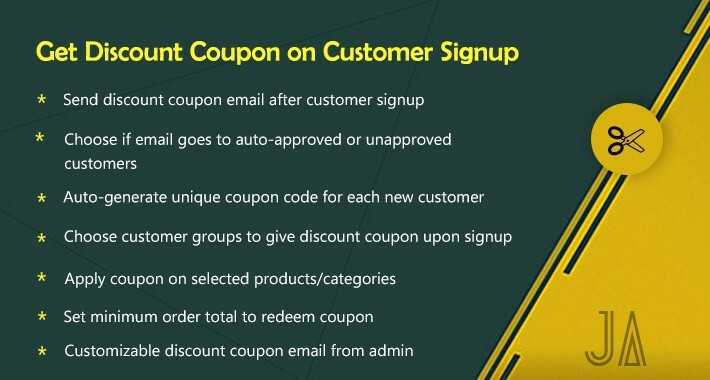 Get Discount Coupon on Customer Signup. 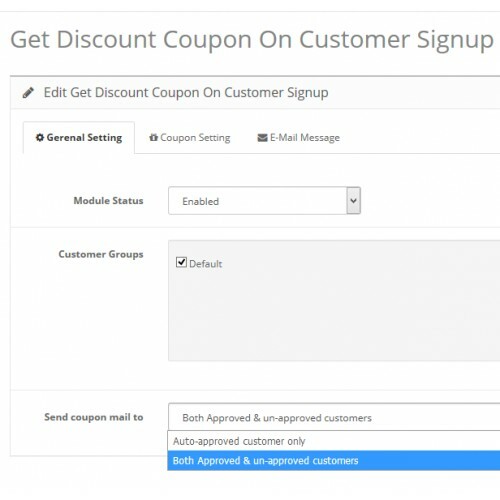 Giving discount coupon on customer signup is great marketing strategy tool to lure your customers. The extension completely manageable from the admin. 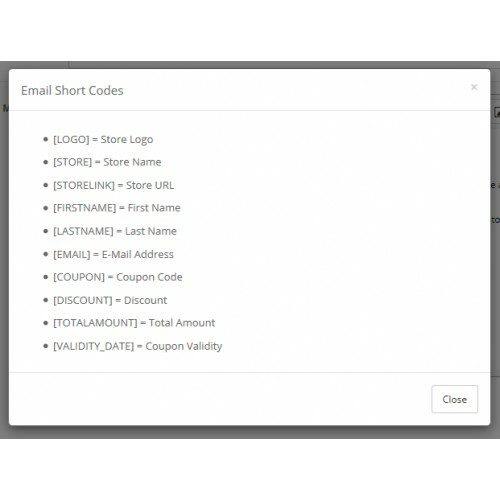 See extension features below. 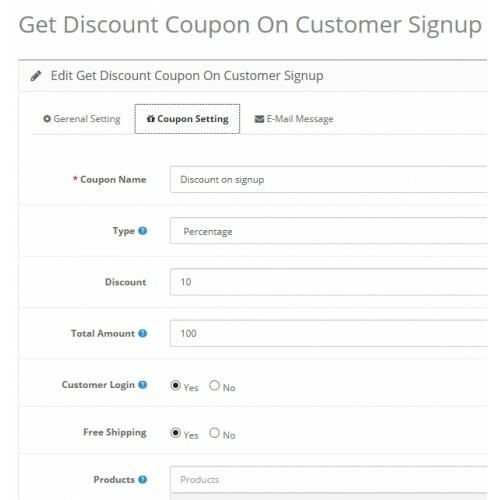 * Extension use default OpenCart functionality to send discount coupon upon registration of new customer. 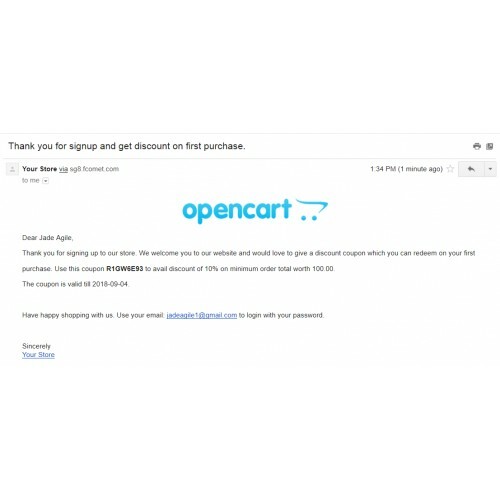 This make almost all third party extension works with like OpenCart themes, any one page (Quick, Ajax) Checkout extension. 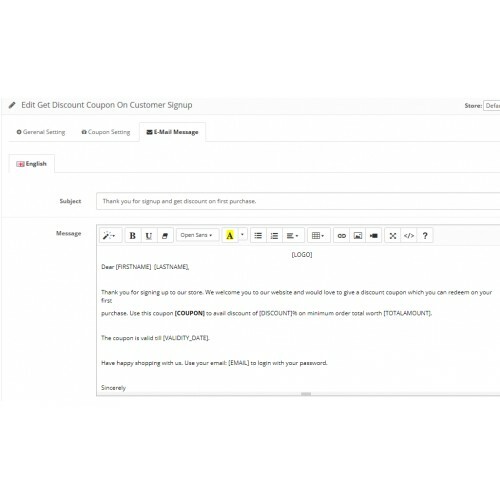 Extension works as long as third party extensions use default customer registration functions.